Oracle Application Techno Functional : KFF has hit errors during validation phase: JBO-FND:::FND_KF_STR_NO_REQUIRED_LABEL: FND-2742You must assign a required label GL_ACCOUNT to at least one segment.In application 101, key flexfield GL#, and structure ..., you need to assign required segment label GL_ACCOUNT to at least one segment. KFF has hit errors during validation phase: JBO-FND:::FND_KF_STR_NO_REQUIRED_LABEL: FND-2742You must assign a required label GL_ACCOUNT to at least one segment. 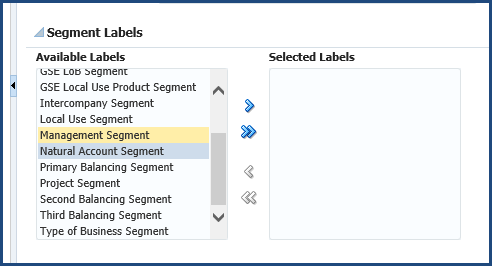 In application 101, key flexfield GL#, and structure ..., you need to assign required segment label GL_ACCOUNT to at least one segment. 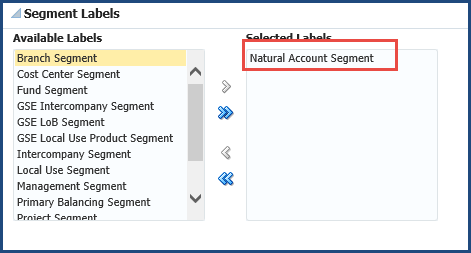 In the Segment Labels section shuttle Natural Account Segment and Primary Balancing Segment across to Selected Labels. Save an close and deploy the flexfield again. It throws the error for even disabled account structures. Can you please also state the rationale behind this validation by Oracle fusion.